The Estates of Forest Creek (EFC) is an attractive, vibrant and welcoming community conveniently located in Northwest Plano – considered by many as one of the most desirable areas to live in all of Texas and the entire United States. 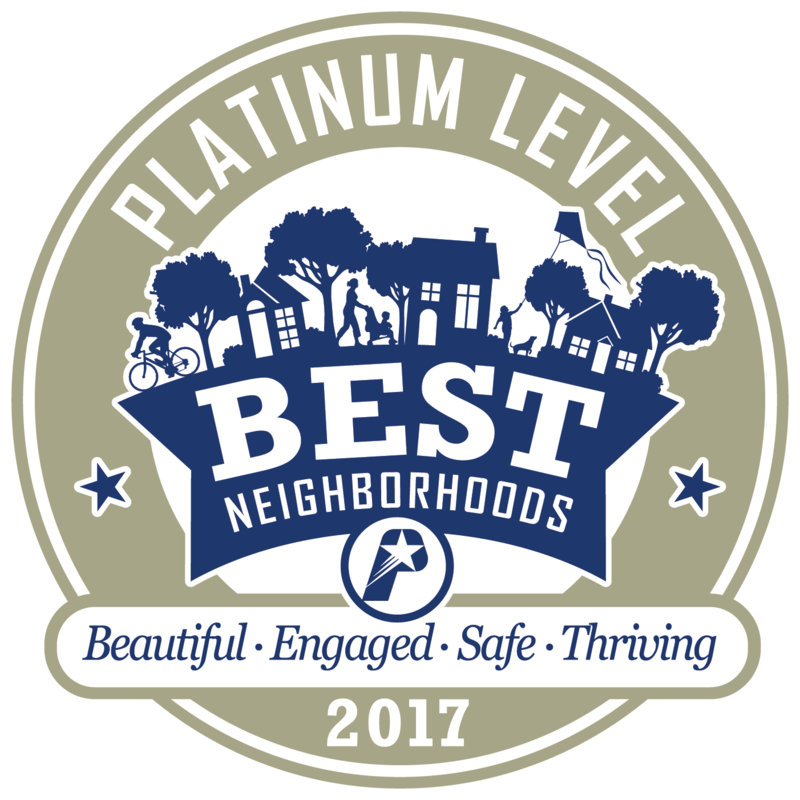 Estates of Forest Creek was designated a Platinum Level BEST Neighborhood by the City of Plano in 2017. 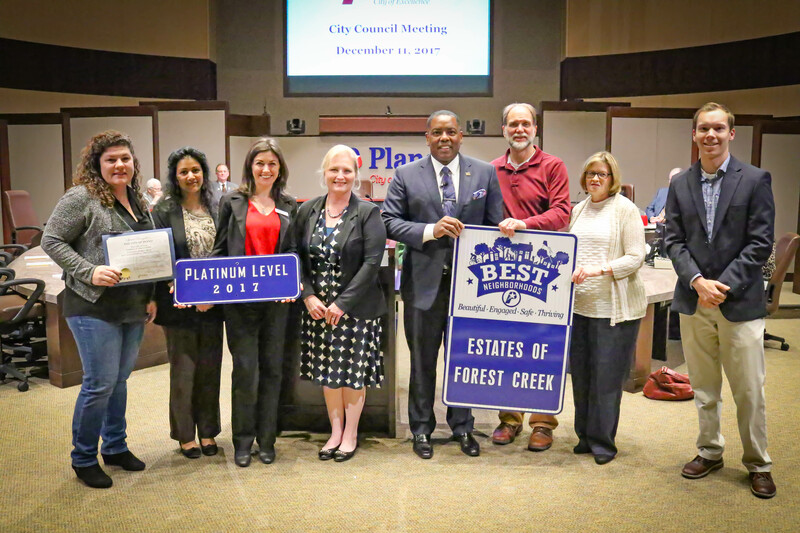 This award was achieved with the participation of our wonderful neighborhood of over 400 homes and the hard work of the Estates of Forest Creek Homeowners Association Board. Our neighborhood is a diverse yet cohesive mix of young families, empty-nesters, retirees and diverse ethnicities. Many of our EFC homeowners have developed close friendships with neighbors and we all watch out for one another. Our EFC Homeowners Association (HOA) is considered by many of our homeowners as playing a key role in making our neighborhood such a desirable place to live – allowing residents to support the necessary beautification, maintenance and upkeep of the EFC common areas, have closer ties with their neighbors, and participate in a wide variety of HOA-sponsored social activities & special interest groups.